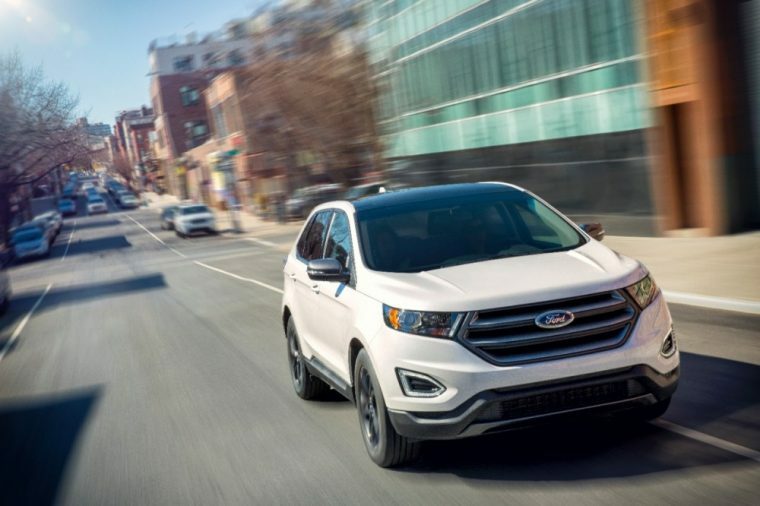 In 2016, Ford set a record by selling 134,588 Edge crossovers and now the Blue Oval is hoping to increase sales even further by offering a new SEL Sport Appearance Package with the 2018 Edge. This new appearance package recently debuted at the Dallas Fort Worth Auto Show and offers buyers more choices within the Edge lineup. While the SEL trim comes standard with 18-inch wheels and the Sport model gets larger 20-inchers, the Edge SEL Sport Appearance Package features 19-inch Magnetic Metallic-painted rims. In addition, the spoiler, grille, and mirror caps have also been painted Magnetic Metallic; while the headlamp bezels and side window trim feature a blacked-out finish. Related: Did you hear the 2018 Ford F-150 will be available with a new diesel engine? On the inside, the SEL Sport Appearance Package provides Mayan Gray fabric seats with Umber-colored Miko sueded cloth perforated inserts. Ford explained that it decided against offering leather seats for the SEL Sport Appearance Package because customers who live in warmer markets—like Dallas—specifically requested cloth seats because a leather-covered interior is less comfortable during hot weather. Other features that come standard with the SEL Sport Appearance Package include a power liftgate, the Sync 3 infotainment system, black roof rails, and a panoramic sunroof. These features are normally optional on the SEL trim. 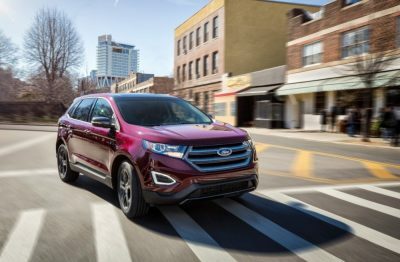 The 2018 Edge SEL Sport Appearance Package is scheduled to become available in fall of 2017. This optional package will add $1,295 to the cost of the 2018 Ford Edge SEL.